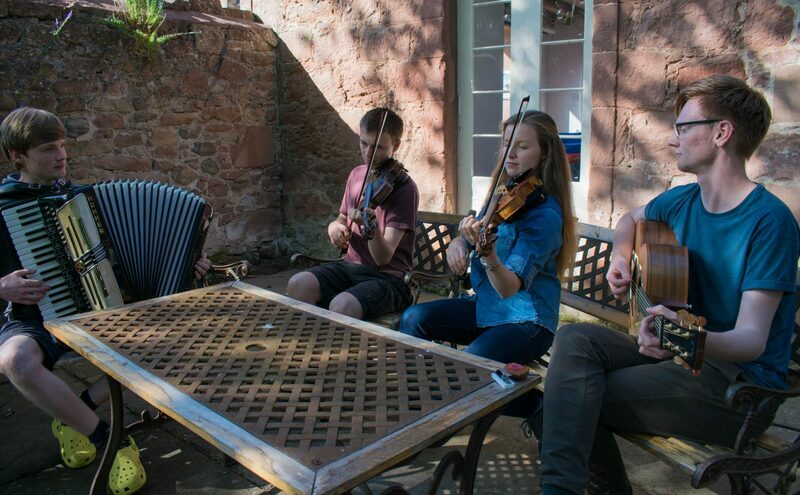 Taking place from 15th July to 17th August 2019, the Ceilidh Trail provides visitors to Scotland with the opportunity to experience authentic traditional Scottish music in a wide range of settings. We invite you to come and join us for a ceilidh dance in a village hall, a concert at a historic site, or a performance in one of Scotland’s leading theatres. You will hear beautifully crafted songs in both the Gaelic and Scots languages and lively folk tunes played on fiddles, accordions and other traditional musical instruments. Why not join us in some of Scotland’s finest pubs and restaurants for an informal music session during the peak tourist season in July and August? 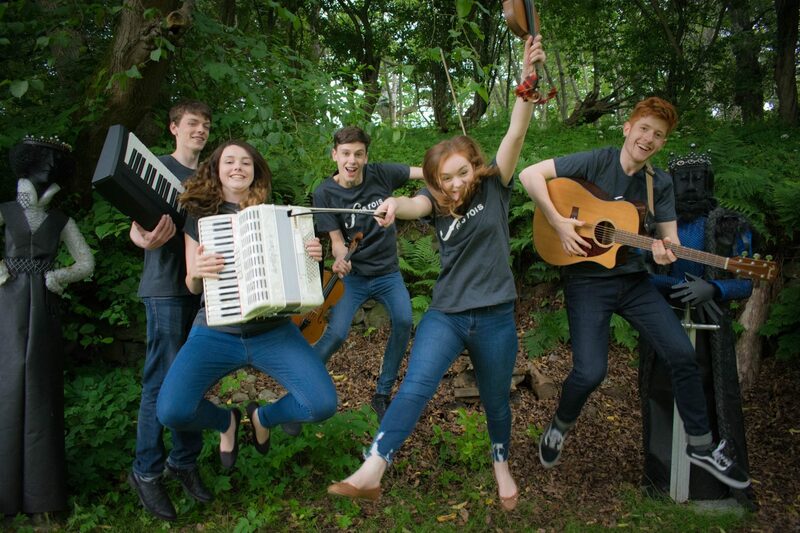 Fifteen outstanding young musicians from across Scotland tour on the Fèis Rois Ceilidh Trail. 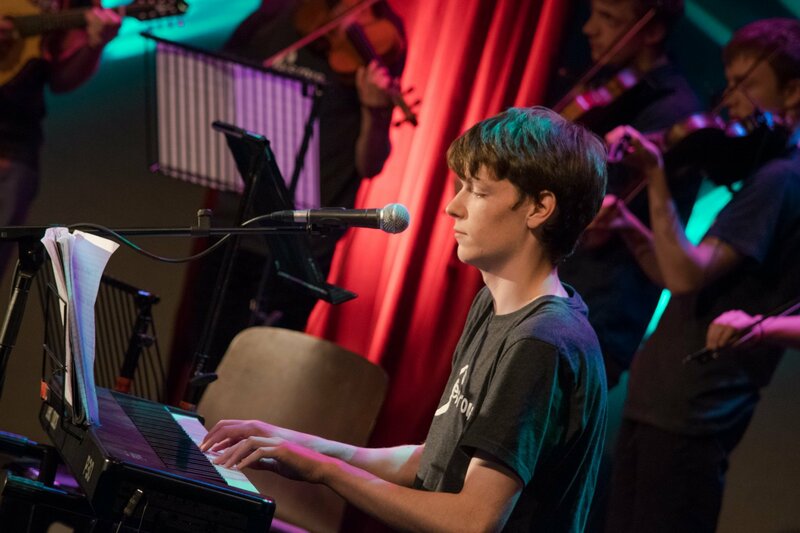 The young people are between 16 and 25 and many of them are studying at some of the country’s leading music schools, including the Royal Conservatoire of Scotland. This project provides a professional development opportunity and a stepping stone between studying and launching a career as a performing artist. 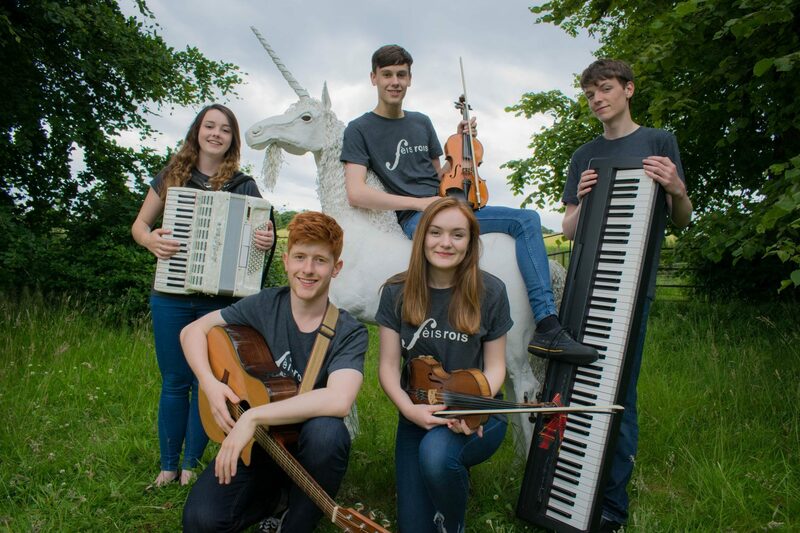 In addition to almost 100 performances in Scotland, the superb young musicians on the Fèis Rois Ceilidh Trail have been invited to showcase at Cambridge Folk Festival and the Sidmouth FolkWeek. The contact with musicians from different parts of Scotland exposed me to a more varied repertoire of tunes and gave me an insight into some of the different stylistic aspects tied to place. Touring and travelling allowed a lot of down time to chat about experiences in the music industry and doing different sorts of gigs and playing to different sorts of audiences. Fèis Rois established its successful Ceilidh Trail programme in Ross-shire in 2000. Following the success of the Ross-shire Ceilidh Trail, Fèis Rois started a National Ceilidh Trail for Scotland in 2012. This project has since gone from strength-to-strength and provides opportunities for young musicians from across Scotland to perform in locations across the country, not covered by the smaller community Ceilidh Trails. In 2017 we also had an Up-and-coming Trail featuring Hecla and Charlie Grey and Joseph Peach. They travelled to perform at Festival Interceltique in Lorient and Cambridge Folk Festival. As well as covering a significant area of the Highlands, Fèis Rois’ Ceilidh Trails visit Aberdeen City and Shire, Dumfries and Galloway, Dundee and Angus, Perth and Kinross, Edinburgh and East Lothian, Glasgow, Fife, Lanarkshire, Perthshire and the Scottish Borders. Many previous participants of the Fèis Rois Ceilidh Trail have gone onto carve out very successful careers in the Scottish music industry. These include Fraya Thomsen, Mairearad Green, Matheu Watson, Mischa Macpherson, and Rachel Newton.